With Halloween in full swing, it’s that time of year when people focus on the morbid. 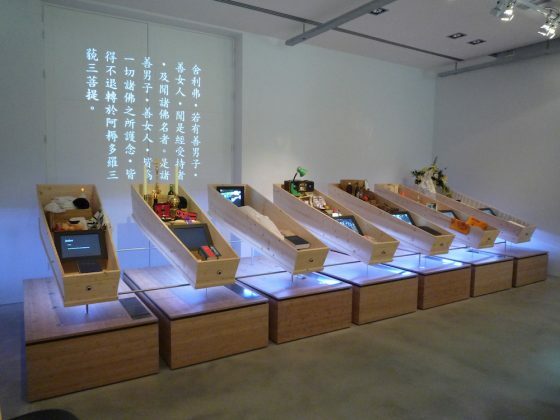 But, reports Deborah Nicholls-Lee, even a museum devoted to death can be a cheery affair. ‘We are very happy people here,’ says Guus Sluiter, director of Tot Zover (So Far! ), the Netherlands’ only funeral museum, although he has just warned me that we may need to continue the interview elsewhere as our room is often used by the cemetery to plan ceremonies with the bereaved. I struggle to reconcile the two: the graveyard view behind us, and the cheerful director and his staff. It’s not a museum most would visit to lift their mood, but there is something unexpectedly soothing about it, like the catharsis you experience after attending a funeral. 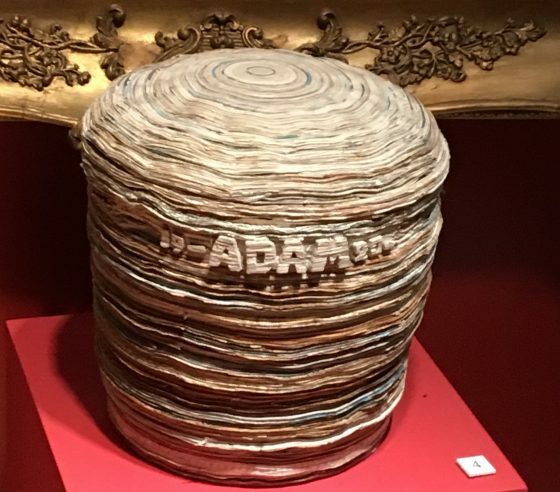 The museum contains many fascinating curios, such as commemorative artworks created with human hair, diamonds forged from cremation ashes, and a paper urn fashioned from the correspondence of the deceased. Particular attention is paid to funeral rituals and how these vary from culture to culture. The museum believes that the way this closing ceremony is conducted can reveal a lot about us as humans. For an insight into Dutch funeral culture, an unusually pragmatic approach to mortality can been seen in several of the artefacts on display. The 1940s stamp book, where people would save up for their own funerals, for example, is a precursor to the life insurance policies which are used widely today in the Netherlands. 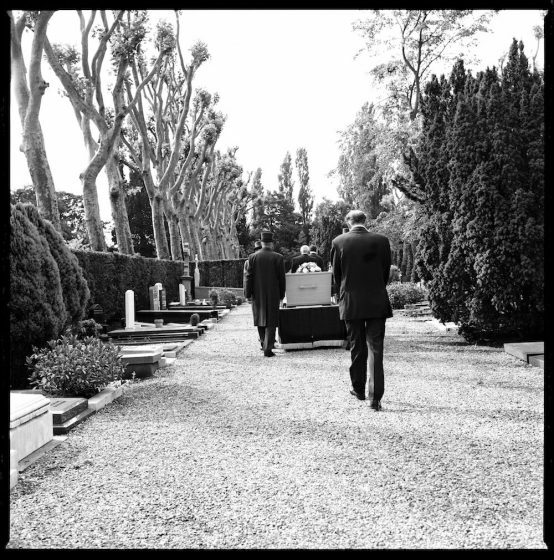 The meticulously planned 1999 funeral, which terminally ill 29-year-old Merijn Luchtmeijer’s organised for himself, is both a mark of his coming to terms with the brevity of his life and a growing trend here for personalising the final journey. Part of Tot Zover’s refreshing approach is its refusal to shy away from difficult topics. The museum is keen to expand its role in helping others discuss death, particularly schools, fielding questions from students. ‘Children like to talk about death; they find it very interesting, but their parents don’t and also the teachers don’t,’ says Sluiter. A new educational package Dood Gewoon in de Klas, (Dead Normal in the Class) is launching in November http://www.doodgewoonindeklas.nl/ to support these difficult conversations. Thanks to additional funding awarded in September, the child-friendly Kleine Hein, a cartoonised mini grim reaper, will soon be a central feature of the museum’s marketing. This new strategy, along with the current museum trail suitable for 8-12 year olds, is a reminder that death is a subject for everyone. The museum’s latest exhibition Hier Besta Ik (I Exist Here) focuses on the extraordinary way the Netherlands honours those who have no-one to attend their funeral. Amsterdam conducts around 15 eenzame uitvaarten (lonely funerals) per year. All are attended by a team of undertakers who provide a dignified farewell for the deceased, complete with flowers and a specially-commissioned eulogy penned by one of the country’s top poets. The exhibition includes photographs of a lonely funeral, a display featuring 12 poets and their poems (in Dutch) written for the deceased, and a more conceptual gallery exploring the theme of loneliness. Arriving at the museum, a hearse crunching slowly along the gravel to my left, visitors carrying flowers to a grave in the distance, and a crematorium up ahead, I felt mournful, my head full of past narratives. Leaving the museum, I feel stronger. Museum Tot Zover http://www.totzover.nl/english/ is located in the De Nieuwe Ooster cemetery in Amsterdam Oost. Hier Besta ik runs until the February11, 2018. Tot Zover is marking Museum Night on November 4 with poetry recitals from some of the poets featured in the exhibition and a night-tour of the cemetery.